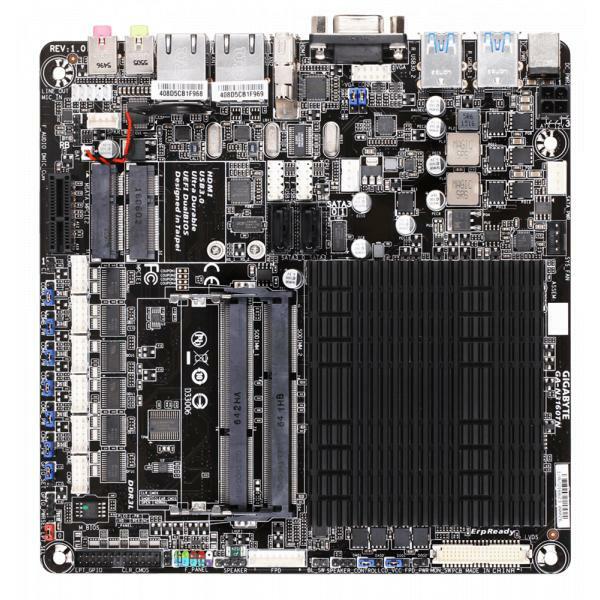 The GIGABYTE N3160TN Thin Mini-ITX motherboard is a fully integrated PC/AIO/IPC motherboard featuring the Intel® Celeron™ N3160 quad-core processor. 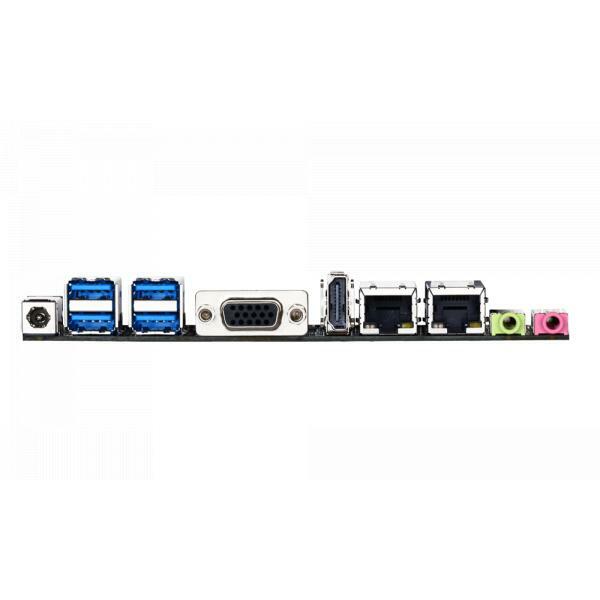 Designed for compact, small form factor PC/AIO/IPC systems and devices, the GIGABYTE N3160TN is entirely fanless, making it ideal for always-on, mission critical systems, as well as noise-sensitive digital entertainment systems. The Intel® Celeron™ N3160 Quad-Core processor is the latest system on chip (SoC) from Intel, combining CPU, graphics and memory controller in one package. Based on the 14nm manufacturing process, the Intel® Celeron™ N3160 uses the smallest package of any desktop processor within a low thermal envelope of on 6 watts. The Intel® Celeron™ N3160 boasts excellent performance including DX11.2 gaming on Intel® HD Graphics, plus a dedicated HEVC decoder for smooth HD video playback. 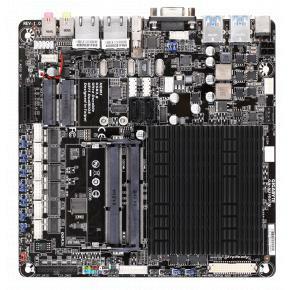 GIGABYTE Ultra Durable™ debuts on GIGABYTE motherboards, with a range of features and component choices that provide record-breaking performance, cool and efficient operation and extended motherboard lifespan. The new and updated GIGABYTE @BIOS app allows you to update your system's BIOS from within Windows using a simple and slick graphical user interface by automatically downloading the latest version from the GIGABYTE servers.